Purity Pool is a family business founded in 1961 by an experienced pool service professional. Since all Purity Pool Products were designed first for professional use, durability and efficiency have always been top priorities. The Out Spot is a self-contained underwater stain remover. The cup holds about a cup of muriatic acid. 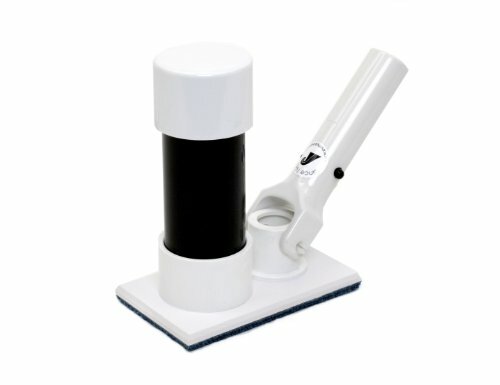 Once filled and connected to a standard pool maintenance pole, the Out Spot can be lowered down to the pool surface and placed on top of a stain. Since acid is heavier than water, the acid seeps through the pad (slowly diluting, so go for the worst stains first!) over a period of about 20 minutes. Most stains are gone in seconds! View More In Chemicals & Water Testing Products. If you have any questions about this product by Purity Pool, contact us by completing and submitting the form below. If you are looking for a specif part number, please include it with your message.